Japan has lifted the age limit for commercial pilots to 67, in response to a drastic shortage of aircraft commanders in Asia. The move will result in Japan having the oldest pilots in the world. Until now, the careers of Japanese pilots ended when they hit 65. The new rules will allow those who are currently 64 or younger to have the option of flying until their 68th birthday. “We are aiming to ease a shortage while still ensuring safety,” a Transport Ministry official told AFP. Older pilots will be limited to 80 percent of the normal flying maximum – resulting in 80 hours per month, or 216 hours over three months. Those over the age of 65 must undergo epilepsy tests and be accompanied by a co-pilot aged 59 or younger. Japan currently has 5,900 airline pilots, 500 of whom are aged 60 or over, according to the ministry. That number simply isn't enough to satisfy the surging passenger demand, much of it due to the thriving low-cost carrier sector. Airlines were forced to cancel thousands of flights last year due to the pilot shortage, and the situation is expected to worsen in the 2030s, when a large sector of Japan's pilots hit retirement age. According to Australian aviation expert Neil Hansford, the lack of skilled pilots extends globally. 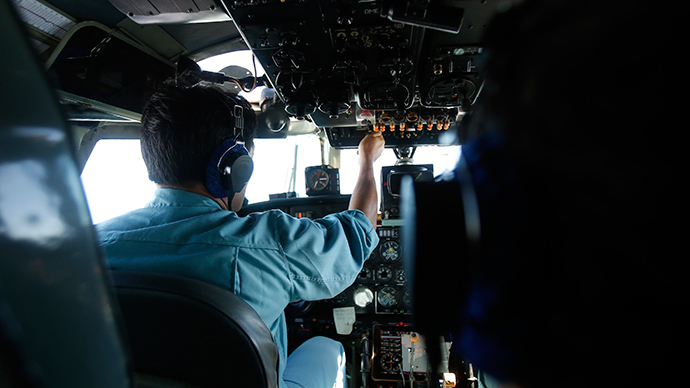 Greg Waldron, Asian managing editor of Singapore-based FlightGlobal, says that shortage can be at least partly blamed on the high cost of training to become a pilot. “The industry is in a bit of tough patch now in terms of bringing in qualified, good individuals to become pilots,” he said. The shortage is most widely seen in the Asia-Pacific region. He added that the situation is better in other areas, including Australia and the US, because it is relatively cheap to get a basic pilot's license there. But Waldron insists the older pilots don't pose a safety risk, adding that the important thing is to make sure they know how to react in an emergency. “As long as they pass the tests in the simulators, as long as they keep performing and prove that they know what they are doing in the plane, I think the retirement age can be pushed up a bit,” he said. Japan previously raised the age for pilots from 62 to 64 in 2004, a standard set by the International Civil Aviation Organization.